Kristen Bell took a break from her busy schedule to read her favorite children’s book Quackenstein Hatches a Family (storylineonline.net/books/quackenstein/) for Storyline Online® (storylineonline.net). Written by Sudipta Bardhan-Quallan, illustrated by Brian T. Jones and published by ABRAMS Books, Quackenstein Hatches a Family is a cute and creepy tale told in rhyme about a bitter old duck who adopts an egg and is surprised by what hatches from inside. Bell’s flawless storytelling delivers both cadence and character voices that offer a compelling and animated five-minute read aloud alongside original illustrations brought to life. Bell concludes by sharing why she chose the book, “I really like the rhyming. 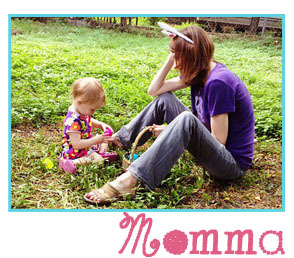 I really like the language – the big words – but more importantly, I love that Quack felt lonely and he decided to solve his problem by adopting one of these eggs that didn’t have a family.” Bell continues to share that she likes how Quackenstein creates an unconventional, yet loving family for himself and what turns out to be a platypus. Kristen Bell is the latest actor to join an expanding cast of Storyline Online® readers that includes Viola Davis, Chris Pine, Kevin Costner, Lily Tomlin, Christian Slater, Betty White, Wanda Sykes, Justin Theroux, Rose Byrne, James Earl Jones and more. Storyline Online® features actors reading cherished children’s books aloud alongside creatively produced, original illustrations. The award-winning children’s literacy program of the nonprofit SAG-AFTRA Foundation, Storyline Online streams 45 videos at no cost to children, parents, and educators worldwide, and receives over 6 million views every month. 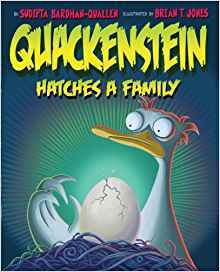 As with all Storyline Online videos, Quackenstein Hatches a Family comes with a supplemental activity guide aligned with Common Core Standards that strengthens verbal, written and comprehension skills. Aimed at students in 1st and 2nd grades, these activities encourage students to engage in critical thinking and ponder the themes from the book including family, adoption and responsibility. In addition, Storyline Online has an app for iPhone and Android. The app features the full digital library of Storyline Online videos, complimentary educational activity guides and more. To watch Quackenstein Hatches a Family and all of Storyline Online videos, visit storylineonline.net, and subscribe to youtube.com/storylineonline. Keep up with new videos to be released in 2018 by following @StorylineOnline on Twitter and /StorylineOnline on Facebook. ABOUT THE SAG-AFTRA FOUNDATION: The SAG-AFTRA Foundation is a 501(c)(3) non-profit organization that provides vital assistance and free educational programming to the professionals of SAG-AFTRA while serving the public at large through its award-winning children’s literacy program Storyline Online. The Foundation relies solely on support from gifts, grants and sponsorships to maintain its free programs. For more information, visit sagaftra.foundation.